Collins Booksellers - Behind the Veil by Daniel Allen Kelley, 9781618696212. Buy this book online. Equipped with an array of original techniques, cutting-edge research, and methodologies used by seasoned Lucid Dreamers, Sages, Shamans, and Astral Projectors, this one-of-a-kind book will set you on the path to becoming an expert Veiler! 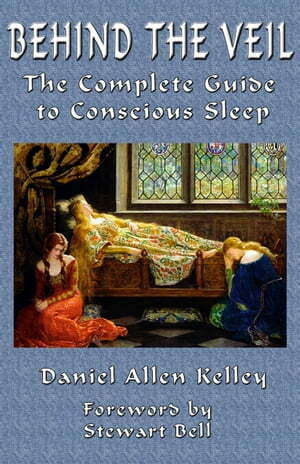 In this entertaining and mind-bending book by experienced Lucid Dreamer and Astral Projector, Daniel Kelley, you will learn the art of Conscious Sleep. Unlike many books on the subject, however, Behind the Veil approaches the subject in an in-depth fashion, covering everything from Vivid Dreaming, Lucid Dreaming, Pellucid Dreaming, Astral Projection, Energy Work and more. -- The 120-Days Curriculum to cultivate Vivid, Lucid, Pellucid, and Astral skills. --Meditation methods to enhance Lucidity while in the dream state. --How to uncover and refine your "dream language" to decode messages from your subconscious mind. --How to format and maintain a thorough and accurate Dream Journal. --The best supplements and herbs to enhance Behind the Veil mastery. --The role of dreams, visions, and astral travel in Art, Science, and Spirituality. --How ancient Taoist methods of Qigong, Tibetan Dream Yoga, and Tantra can assist in the cultivation of Dream Control and Out-of-Body Experience. --How to spot Archetypal, Educational, Psychological, Astral, Hedonistic, Spiritual, and many other categories of dream.